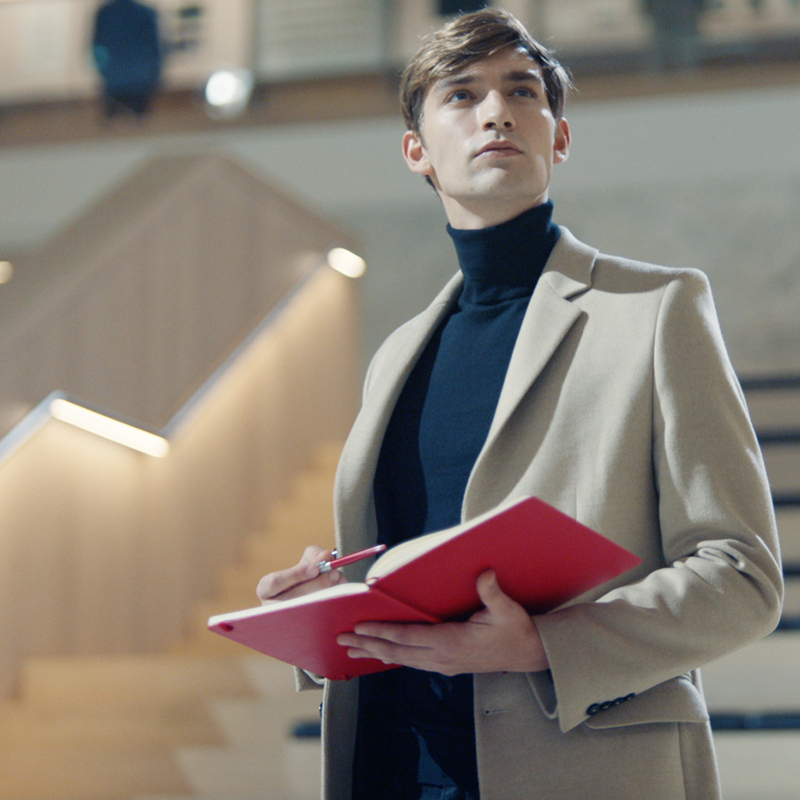 The iconic Parker pen, a brand renowned for its quality and style since George Parker’s patent in 1888, has chosen London as a backdrop to market their new Parker Jotter Gel range of luxury pens. 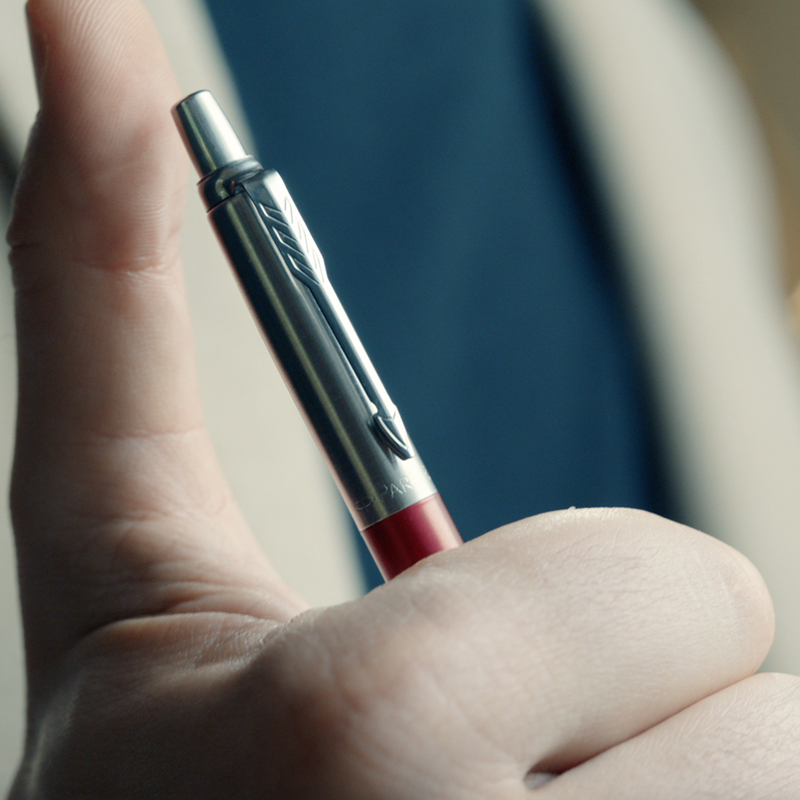 Paul Alexander of Strudel Films commissioned Pickled to online edit and deliver the Parker Jotter London campaign for TV broadcast and social media execution. Director Andy Margeston and his team captured 4k shots of the UK capital with the Arri Alexa Mini, enticing an audience with images taken throughout the city and London’s West End, coming to rest at the British Design Museum. The shoot consisted of many London locations, combined with studio shot green screen interior taxi shots. The offline edit was crafted by David Webb who cut two 20″ and one 50″ edits for Pickled to online. Throughout the 3 edit lengths varying shots saw clean up and VFX. 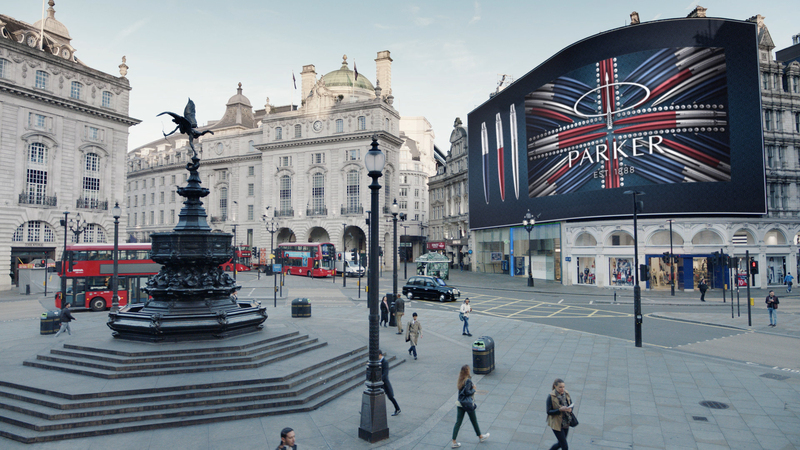 The opening Piccadilly Circus composition and interior taxi shots required most attention for green screen and multiple plate compositing. Other shots within the films were stabilised and cleaned. Part of the grading process saw Pickled working with MPC’s London studio, providing published sequences for colourist Jean Clement to grade. Upon completion, Pickled’s online Flame artist replaced the media for the new look and placed all graphics for the end-lock up. 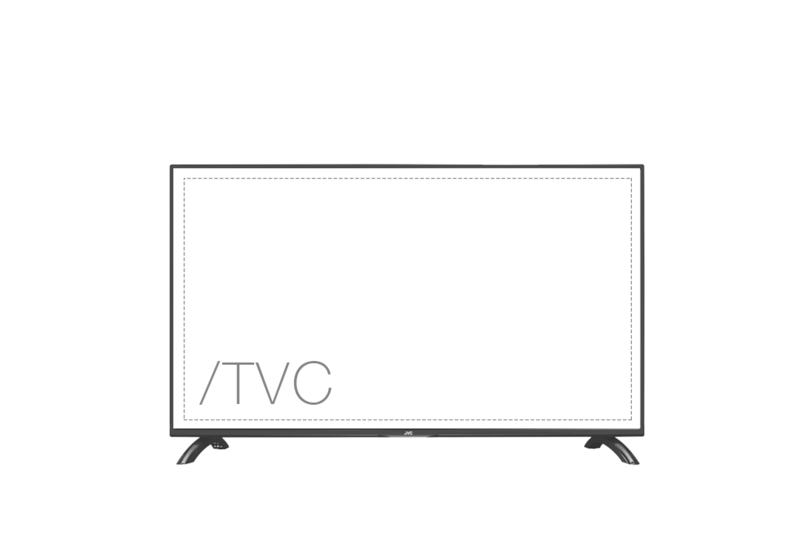 The final stages of the project saw Pickled liaise with Clearcast and client for broadcast approval. For trafficking, rotations and final delivery, producer Danny Jones ensured that the project was delivered to air for slots throughout November and December.